Unigraphics (UG) is a powerful software application addressing the entire product development process from conceptual design to product modeling, analysis and manufacturing. 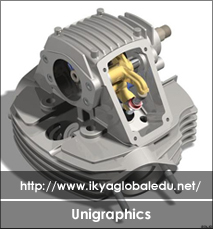 Unigraphics has been one of the industry's top rated CAD/CAM applications for 25 years. Unigraphics NX7 is the advance software used worldwide. Ug Solutions Company seek well equipped trained employees in NX7.